That Sketchbook Project idea has really had some wonderful effects on the art communities across the US! I love the different things that you come up with each day, adn look at the skills that you have with so many different textures and shapes! The purse is wonderful! 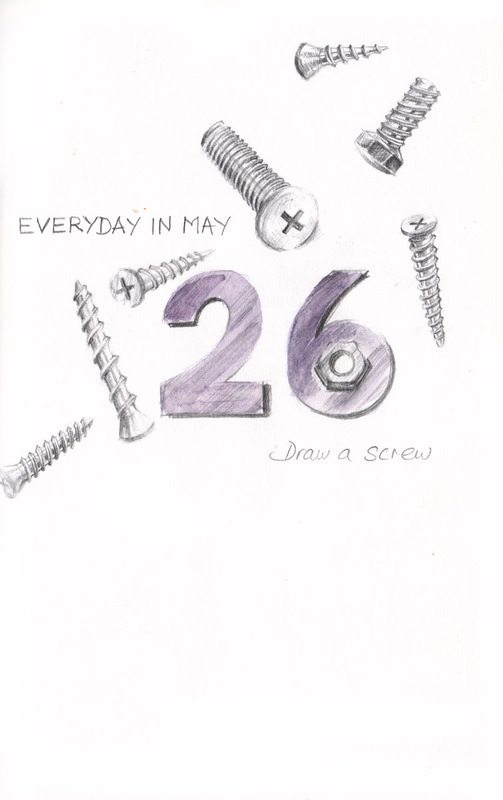 And I like the whimsy of the screws drifting around the page. Sometimes we need lazy. To me lazy is not doing a drawing every day in May! You did a fine job on the screws, lazy or not.